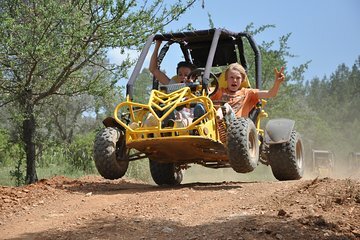 Get an adrenaline rush with this buggy or quad safari from Alanya. You’ll receive safety training prior to driving, and you’ll be accompanied by a professional guide, so it’s a suitable experience for all skill levels. Equipment and round-trip hotel transportation are included, making this a hassle-free adventure. You can even go home with souvenir photos and DVDs available for purchase.